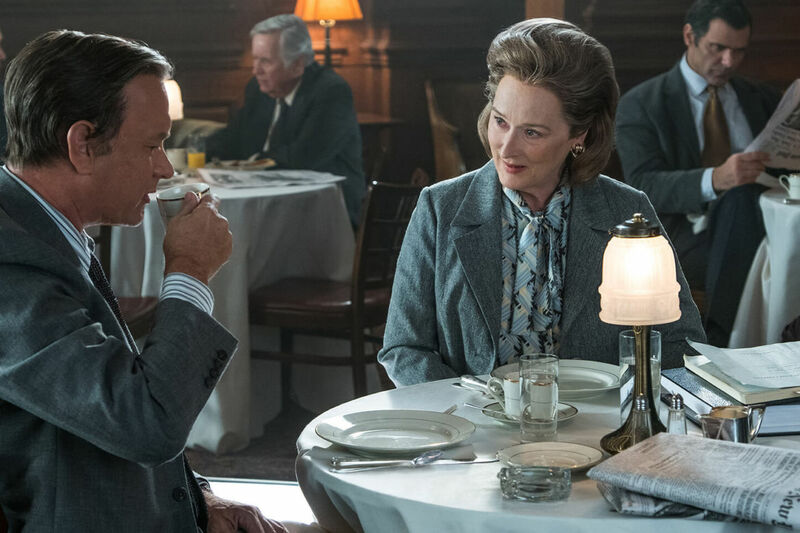 From one of the most imaginative filmmakers, Steven Spielberg, “The Post” offers a plethora of stellar performances mixed with a nail-bitingly intense script. Meryl Streep in “The Post” absolutely delivers her best performance in a film since 2013’s “August: Osage County.” Her performance feels extremely real, to the point where, while watching the film, I did not even see Streep the actress. Although Hanks failed, once again (its been years since the Academy has noticed him), to be recognized for his good work here, Streep has fittingly garnered an Oscar nomination. And in “The Post,” both of them completely disappear into their roles. Throughout the running time of the film, I genuinely wanted the characters Graham and Bradlee to expose the government secrets that were being covered-up and buried for more than three decades. A lot of the events that go on behind the scenes in “The Post” are truly disturbing to hear about, which further fuels the viewer’s desperate want for Streep and Hanks to finally reveal these secrets to the world. If you are somebody, however, that enjoys a film that has a good mixture of dialogue as well as exciting scenes to progress the plot, you will more than likely hate “The Post.” About ninety-five percent of the film is dialogue driven, which I personally did not mind. In a film such as “The Post” where we are learning about various government secrets and cover-ups, the only way the writers of the film could have progressed the plot along, is by making it all dialogue driven. Sure, some scenes could have been removed from the film in order to make it feel a tad bit more focused. But, overall, I found nearly every scene in this motion picture necessary and deserving of being in the film. 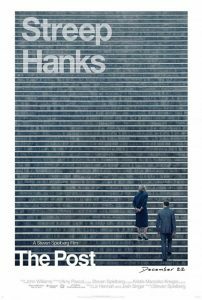 Great performances all across the board, most notably from Streep and Hanks, as well as an extremely tense and emotional script, “The Post” is a truly entertaining watch. Several scenes in the motion picture kept me guessing about what certain characters will do, which is something Spielberg so effortlessly does. Make our characters interesting people, and have the audience actually root for them all the way to the film’s conclusion.